The Capital city of Uttarakhand, Dehradun is much more than a tourist destination as it boasts of having some of the top boarding schools of India. There are several institutes in the city offering international standard education and boarding facilities to the students. There is a misconception among people that education is expensive in boarding schools. In fact, there are some top schools in the city where cost is significantly less than other schools. A lot of scholarship opportunities are also offered to the candidates. Top boarding schools offer all the modern facilities to the kids. Doon International School – Riverside Campus, Welham School, The Asian School and The Aryan School are some of the leading boarding schools in Dehradun offering quality education, best infrastructure, top faculties and excellent resources to the students. 1. What accreditations the school have? All good boarding schools in Dehradun are the members of regulatory bodies like AICTE. So, the very first question to ask is whether the institute is a member of any regulatory body or not. Regulatory bodies visit the member schools from time-to-time and assess every aspect there. 2. What is the admission procedure? Entry to a good boarding school is always competitive. You must check whether your kid meets the criteria or some entrance test is required to be cleared. You must also know all about the admission procedure. 3. What extra-curricular activities are offered by the school? Extra-curricular activities play a huge role in the overall personality development of a kid. These activities develop non-academic skills that will be necessary for the students throughout their life. Some of the common activities include cycling, basket ball, climbing, Baseball, cheer leading, etc. You must cross check whether the institute offers the activities in which your child is interested. 4. What is the class size? Class-size makes a huge difference to the quality of education provided to the students. 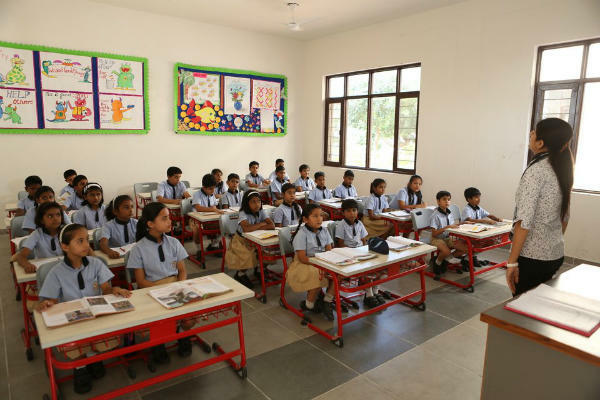 Small class size always encourages aspirants to get involved in the classroom sessions and academic discussions. Additionally, smaller is the class size, the more individual attention the child will get. 5. What are the discipline rules in the school? As a parent, you should know about the rules and regulations the child will be asked to follow, especially regarding the boarding house. You must ask the questions like: What punishments are used to discipline the students if they break any rule? Are they permitted to go for outing at weekends? What is school’s policy on the use of mobile phones, etc. Asking these questions will definitely help you to get an insider’s view of the good boarding schools in Dehradun.